Now you can control your blood sugar without multiple daily insulin shots. Finally, simple all-day-and-night insulin delivery you apply once daily. 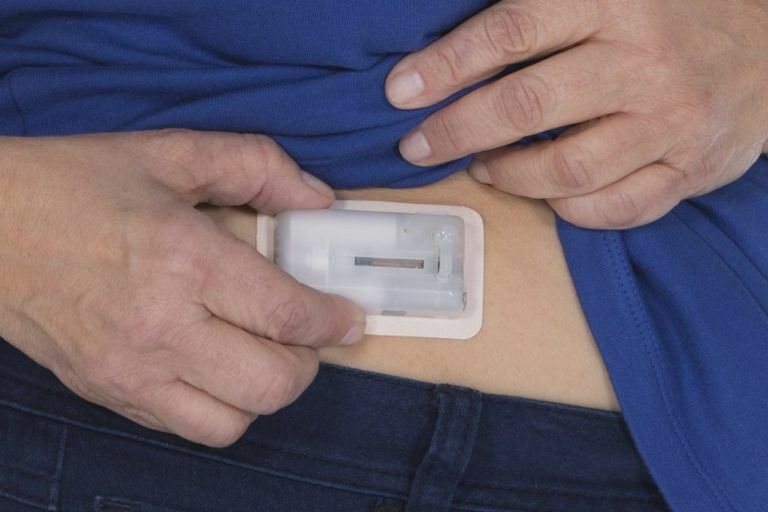 V-Go is simple insulin delivery you apply like a patch once a day. 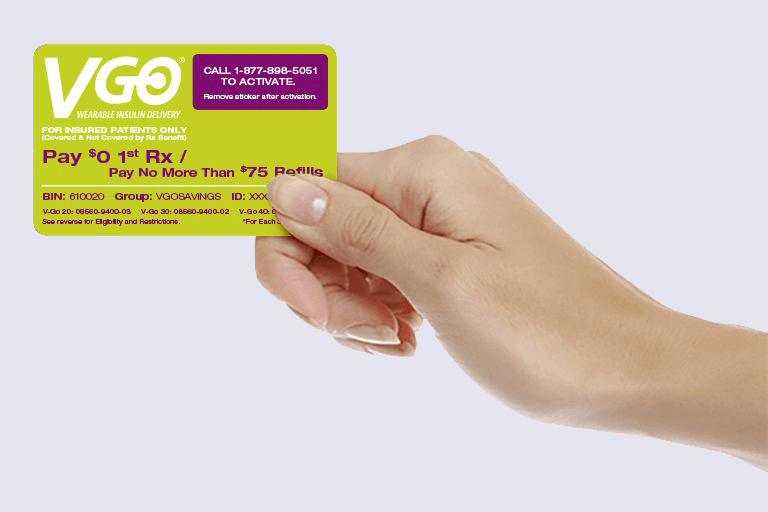 With V-Go, using less daily insulin may mean less out-of-pocket costs for you. See for yourself how simple daily insulin delivery can be with V-Go. Get your free V-Go Demo. 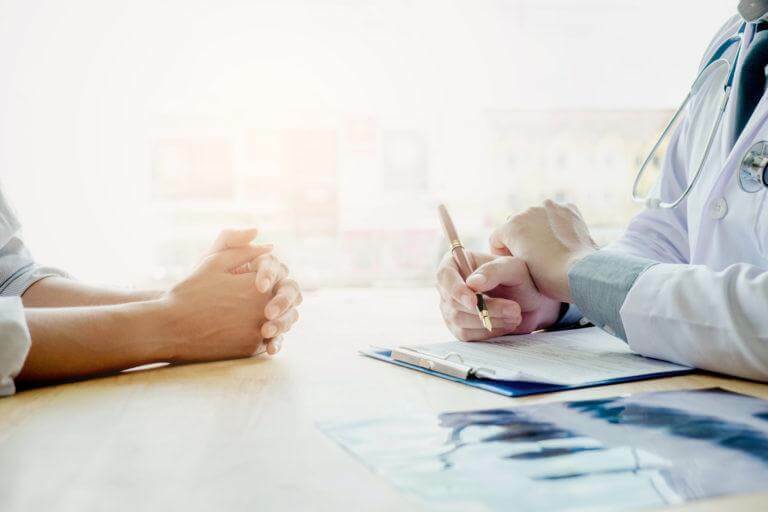 Experience simplified insulin delivery you apply like a patch. Switching from multiple insulin injections to V-Go® may save you money. See how. V-Go® Customer Care provides personalized 1-on-1 support to make it easy to get started. 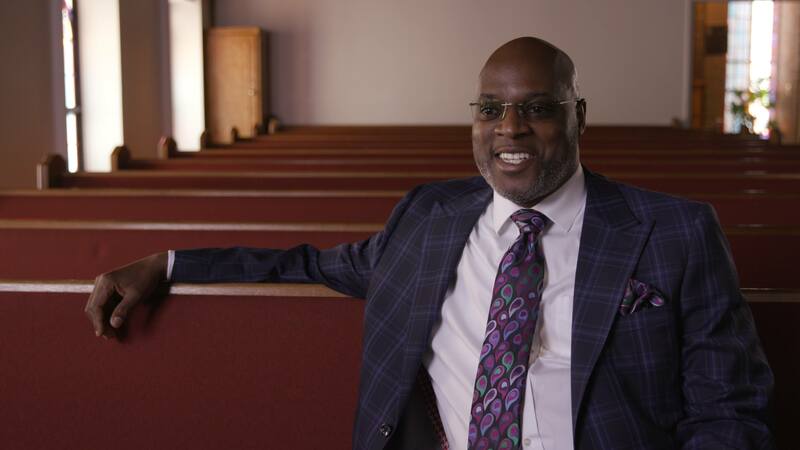 This informative video demonstrates how simple it is to use V-Go®. 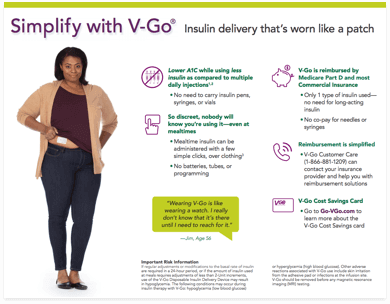 Want to know more about simple insulin delivery with V-Go®? V-Go® is easy to start and simple to use.